It is that time again. The off-season is here, I conducted my yearly inventory inspection and realized that I need a new sand wedge. My Titleist Vokey 56° sand wedge shows excessive wear on the grooves, therefore it is time to start my buying process. As stated before, I have a specific routine before I buy anything golf. This process helps ensure I receive the most value for my money and it has the added benefit of being fun. This process works for me and I think it will work for you as well. As I jump head-long into the purchasing process, there are a couple of things I keep at the forefront: be patient, be open-minded, and never, never, never, pay full price! These three guiding principles set the stage for my purchase moving forward. Step 1: Figure out what you want/need. In this case I am looking for a new sand wedge. Step 2: Research, research, and research. I read the hype of manufacturer’s to see what they say, however I actually pay attention to the consumer reviews. This is the most important piece of information you will find. People are more than willing to tell you what they think. This is the longest process and will test our patience. Step 3: Wait for it to come on sale. Check Ebay. Check Kijiji. Check Golftown (or other large franchise stores), and check the local pro shop (you would be surprised). Step 4: If possible haggle over the price. The local pro shop will lower their price if you make them a reasonable deal (especially in the off-season). Step 5: Purchase the piece of equipment. Step 6: Probably the most important step – be happy with your purchase. No second guessing! My process of purchasing golf equipment ensures that I buy what I want, at the price I wanted to pay. It saves me money and reduces impulse buying (and those extra clubs that accumulate in the garage after being disappointed with a quick purchase)! With the holiday season fast approaching, there will be opportunities to score some great golf deals, it just takes a bit a time and patience. As you look for new equipment, I hope my 6 step process helps during your retail therapy sessions. Let me know what you think; am I missing anything? Jim, you ever get that new wedge? Not yet. My friend and I are working at setting up a date. We have to travel hit the golf store. Still on my list of things to do. Any recommendations? Gosh no. I just downgraded to my old Tour Action wedges after 3 frustrating seasons with Cleveland CG-16. Was very happy with the one round played last weekend with the old wedges. You are a Vokey guy right? 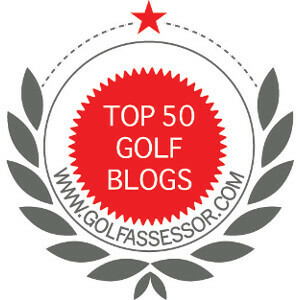 Dissatisfied with Titleist? Oops, wrong button. I want to make sure I am not overlooking something. Vokey wedges are great and I am satisfied. But…..
Can you explain to me in laymans terms what the pro’s mean by ” bounce” on the wedge? Great suggestion! I like to drop hints or straight out ask….it is much easier. And I can be very specific. Jim, step 2 is the key for me. Those consumer reviews are telling. Question: would you skip step 3 if you needed a club ASAP? Well, if I need the club asap, because I broke it or something, then I would still look for the best deal. For me, I can wait and suffer for any any club except my putter. How about you? Have you made any emergency purchases? Oh my! That is quite a story. I have lost my car from time to time, but not to that extent. Well, on the bright side at least you have spares…. Thanks for sharing.